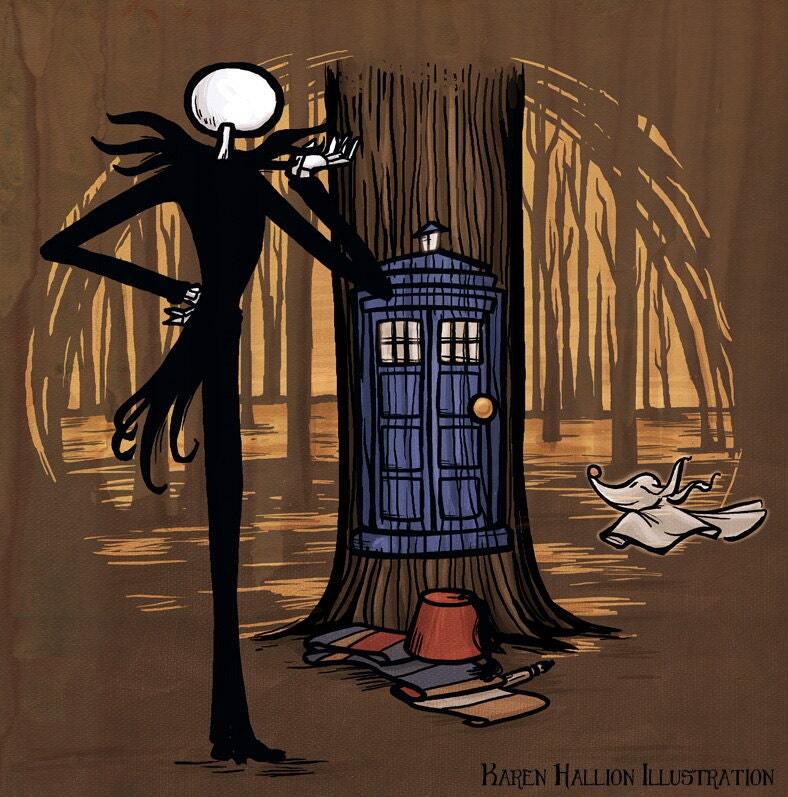 Doctor Who doesn't come back until the end of March but I'm already gearing up for it. The wounds I sustained from the (pointless, horribly written) loss of Rory and Amy have healed and I think I might be ready to love again. 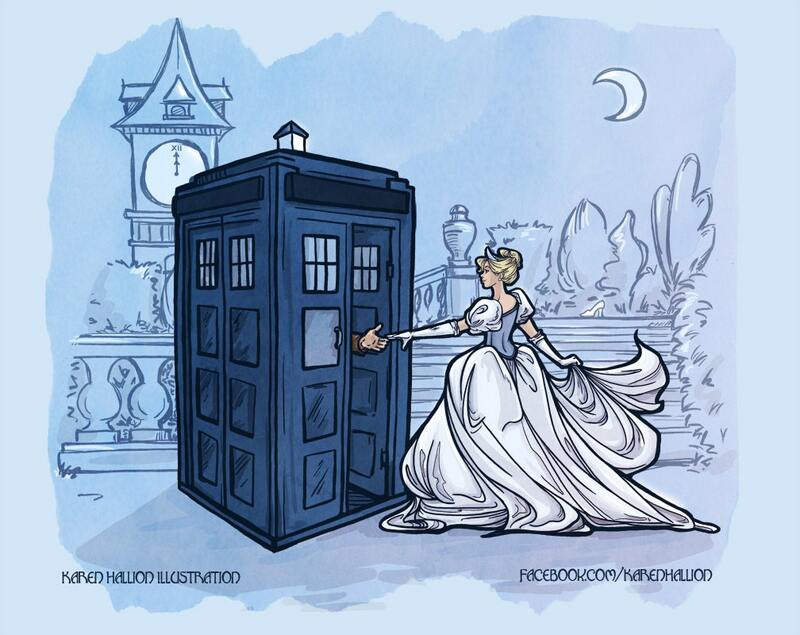 I've been diving back into Who fandom and I've come up for air to share the most awesome Doctor Who art with you. 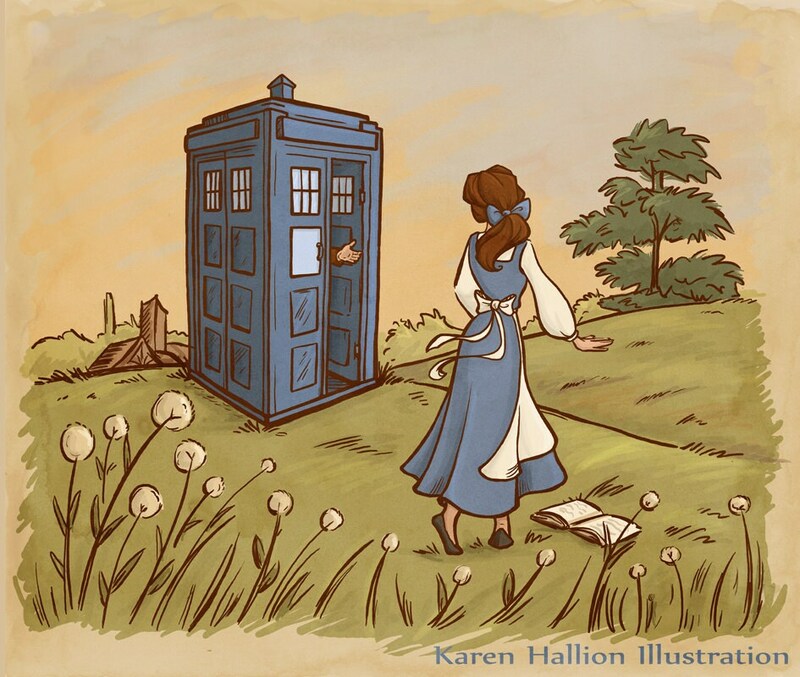 Karen Hallion is an exceptionally talented artist who has created what is, in my opinion, the greatest Doctor Who cross over art in the history of space and time. 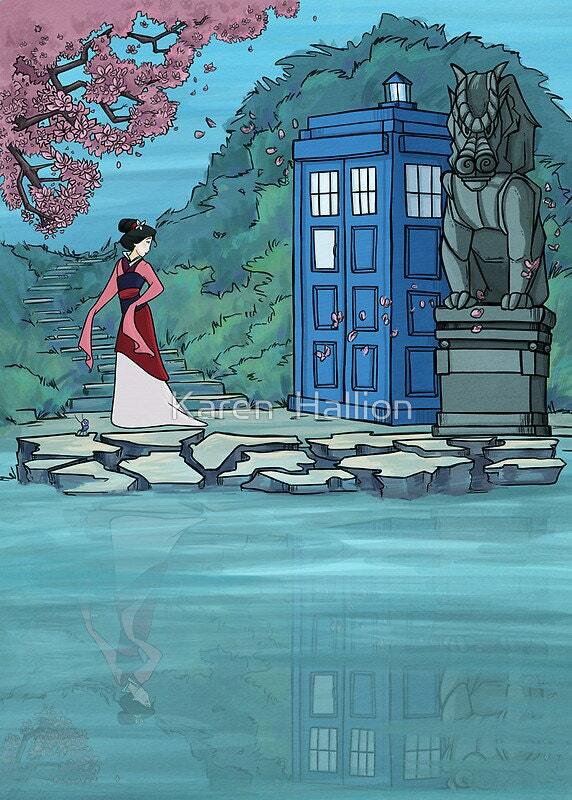 In a few beautiful and clever pictures, she's mixed the mystery and excitement of Doctor Who with the whimsy and magic of Disney. 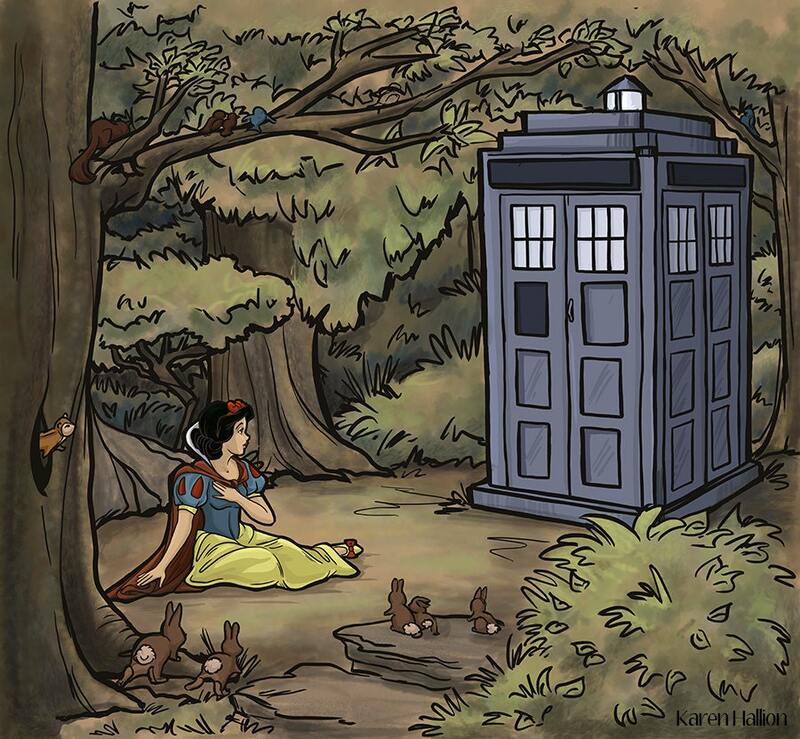 You heard me right, Disney and Doctor Who. 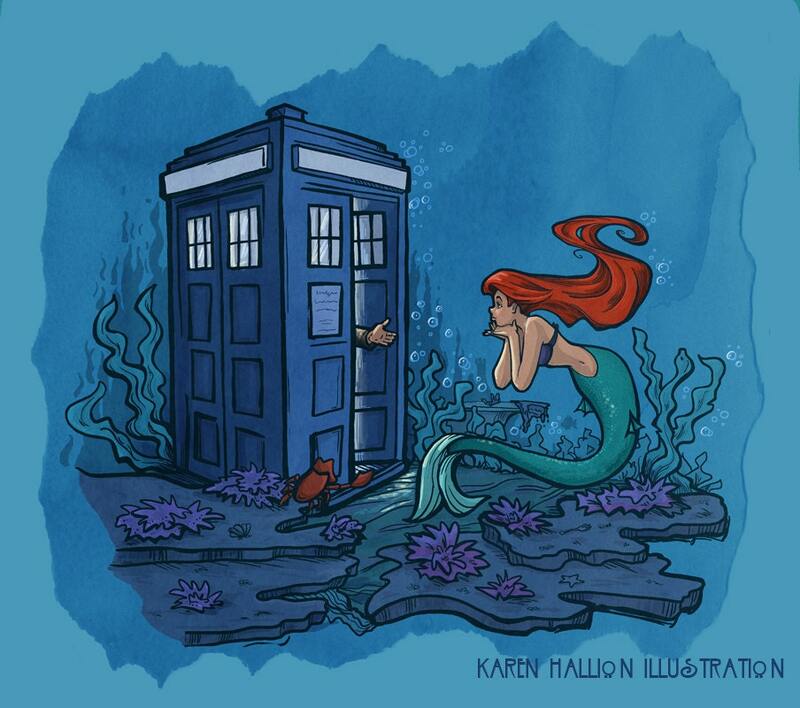 Karen is always creating more mash ups and her work has been featured on Threadless, Teefury and her own Etsy store. 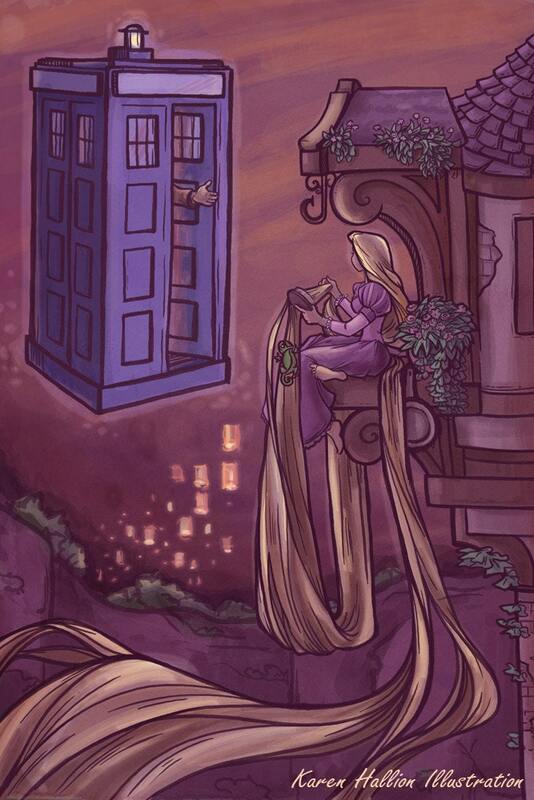 Keep an eye on her wonderful Tumblr for more gorgeous art. 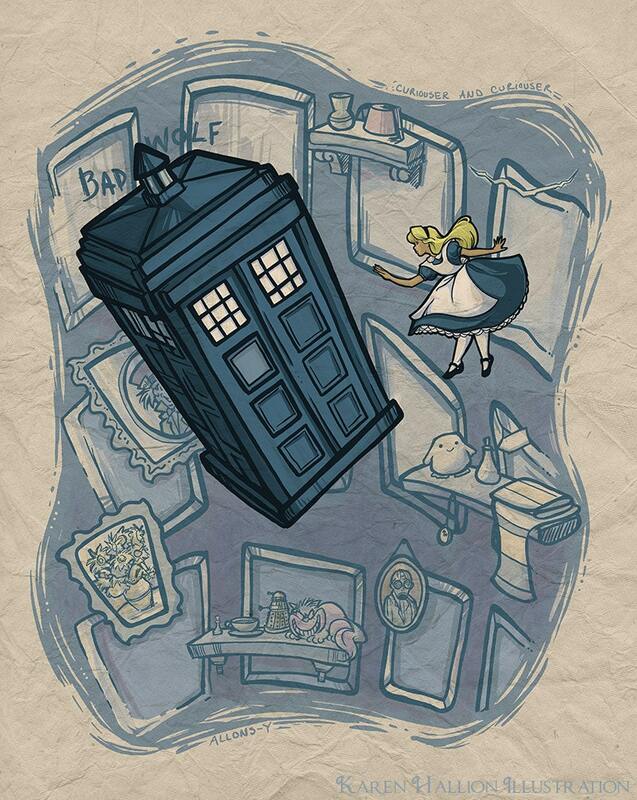 Go under the cut for some more outstanding, imaginative mashups! 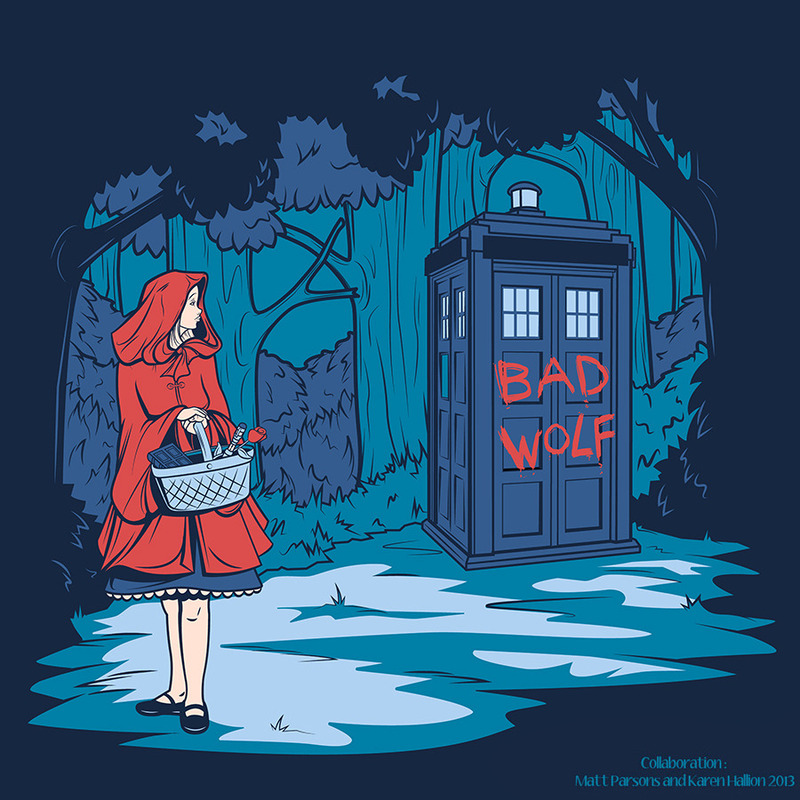 Amy and Rory's departure was horribly written! Also ridiculous -- why doesn't he just pick them up in 1940, if he can't get to NYC in 1938? I love these so much, but Jack's might be my favorite.